The tranquil town of Playa Blanca well and truly captures the charming story of Lanzarote. Originally a quiet village, it's now one of the most vibrant towns in the province. 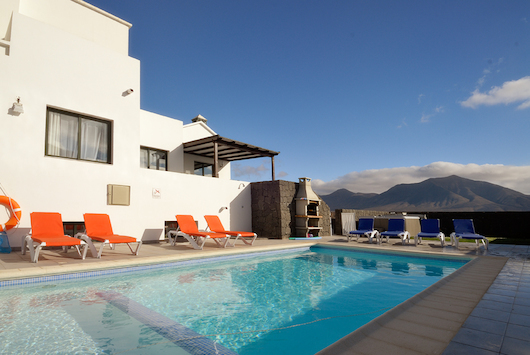 This fast growing hideaway, located at the southern tip of the island, is also home to a number of luxurious apartments and villas in Lanzarote, making it the ideal choice for anyone seeking quality self-catering accommodation. Additionally, we invite you to specifically browse our villas in Playa Blanca. Playa Blanca is Lanzarote? ?s most upmarket and family-friendly resort. It has great beaches; a fantastic marina brimming with shops, restaurants and leisure facilities; and stunning areas of natural beauty just a short drive away. There is also a superb range of Holiday Villas in Playa Blanca for visitors to choose from, whatever your budget may be. 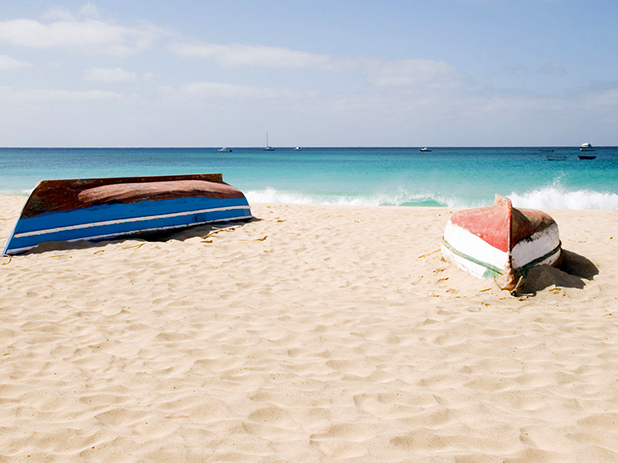 The beaches in Playa Blanca, Lanzarote are thought of as some of the very best in the Canary Islands. You will find soft white sands here which are unusual as most of the islands have volcanic black sands. Papagayo, which is 15 minutes?? drive from Playa Blanca, has the best beaches on the island so be sure to take a day trip and experience these natural wonders for yourself. Evenings in Playa Blanca area relaxed affair with lots of great restaurants to choose from serving everything from tapas to Chinese cuisine. Our Villas to Rent in Playa Blanca are all within easy reach of shops, bars and restaurants. For those that like to party there are bars and clubs that stay open late but you? ?ll find a slightly less rowdy crowd than in the livelier resorts. Playa Blanca is the perfect place to stay if you are looking for a relaxing family holiday with a great choice of quality holiday villas to stay in. A charming villa with heated pool, a large terrace and have access to Wifi, offers a bedroom with double bed and en suite bathroom, a second bedroom with two single beds and one with bunk beds. It offers a fully equipped kitchen. Fantastic modern villa located just 5 minutes from Playa Blanca. Plenty of space to relax by your private pool or in front of the TV in the comfortable living area. Air conditioned throughout. Great for families or couples. Playa Blanca (which is Spanish for "White Beach") is the most southern town on the Spanish town of Lanzarote. It is the latest resort on the island and part of the municipality of Yaiza. It boasts plenty of bars and cafés, a large yacht marina (Marina Rubicon), and a laid-back atmosphere making Playa Blanca the ideal place for a relaxed, more refined holiday in Lanzarote. Until quite recently, Playa Blanca was a quiet fishing village somewhat sidelined at the bottom of Lanzarote. The fact that there is a bustling port where you catch the ferry over to Fuerteventura meant it has always been a popular place, but in serious need of development. As Playa Blanca is the fastest growing tourist resort on Lanzarote, considerable work has taken place here over the last 10 years. With these changes completed, it is a more tranquil place and more tourists are therefore wanting to visit. Whether you are ready for a relaxing holiday by the swimming pool or would like to explore the town and other surrounding areas, Playa Blanca is rich in culture and history, with an endless stretching coastline and some of the whitest beaches on the island. Enriched in the fascinating history of Playa Blanca lies the timeless Las Coloradas’ Castle, which was constructed by the first settlement of Europeans in the area in around 1402. 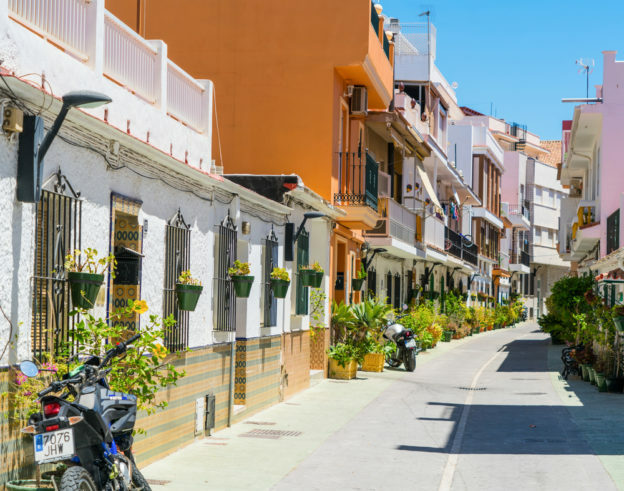 The town and its locals are friendly to all visitors, offering up an array of traditional shops, tapas bars, restaurants and places to drink whilst enjoying thesea views. If sun is what you’re seeking most, head down to the beaches in and around Playa Blanca that are nicely sheltered and ideal for swimming and sunbathing. Or, there are miles of trails throughout the local area leading you to some of the most spectacular sights in Lanzarote. Additionally, if you’re looking for something to entertain the kids, you can rest assured they will be excited when you take them on a underwater submarine tour, one of the most popular attractions in the area. Marina Rubicon - tremendous setting right in the heart of Playa Blanca, takes part in a variety of activities including nautical sports and excursions. Explore the local market every Wednesday and Saturday and browse a variety of stalls filled with local products from island traders. Los Charcones - natural and beautiful swimming pools of various sizes, depths and shapes are a joy to see and explore, great for relaxing swims and areas for diving. They can be found in the south of Lanzarote and only a five minute drive from Playa Blanca. Timanfaya National Park - volcanic landscape covering almost a quarter of the entire island. Around 1 million people visit each year, making it one of the most popular tourist attractions on the island. Deep Sea Diving - get up close and personal with sea creatures of all colours, shapes and sizes with a spot of deep-sea diving. You will find plenty of local dive masters who can offer advice, especially if you're a beginner. Segway Tours - view the local sights, attractions and landmarks in a completely different way by gliding through a fantastic off road adventure with a guided segway tour. A modern way of taking in a place of historical beauty. Playa Dorada - calm seas and golden sands. Playa Dorada is fairly calm and a popular spot for early morning swimmers. The immediate area is well served by shops, cafes, bars and restaurants. Paseo Maritimo - perfect beach for sun loungers looking to work on their tan whilst enjoying picturesque sea views. The promenade is the main feature here which is perfect for a stroll in the sunshine. Playa Flamingo - gorgeous beach which is clean, safe and family-friendly whilst being the nearest beach to the new developments around Montaña Roja. 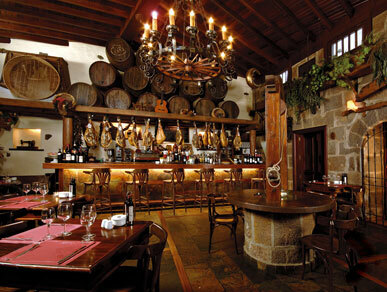 Find a number of shops, restaurants and bars to satisfy your daily needs. Playa del Papagayo - one of he most well known of all the beaches in Playa Blanca. Actually a collection of small beaches forming a number of lovely sheltered bays. Can be reached via water taxi at Playa Blanca harbour. Playa Blanca Beach - Blue Flag beach located in the heart of the town. Also known as "The White Beach" thanks to it's golden sands and constant cleanliness. A favourite amongst locals and tourists. Lanzaroteis well known for its high temperatures in the summer, and Playa Blancais no different. The Mediterranean climate is a joy during the summer months from May until the end of September. In the off periods, it isn’t quite as scorching, but it’s a place you can expect to enjoy nice weather all year round. Playa Blancais only a 30 minutes drive from Malaga Airport by car, with the route well sign posted, making finding the town a breeze. We recommend an airport transfer for the most cost effective way to arrive at your villa. Head here if you’re on the hunt for a great Playa Blanca transfer. When you arrive in the area, the most popular way to get around is via the dedicated local bus service. The price is a flat-rate of €1.30 per journey for an adult, regardless of the distance you have travelled. All the local drivers are more than happy to recommend the best places to eat or to sit back with a refreshing drink. Whether you're seeking glisteningsea views, the perfect location near to Papagayo beach, a relaxing swim in your own private poolor somewhere to simply sit and relax, our wide range of family villas available has something for everyone. Want to learn more about Playa Blanca? You can visit our detailed guide on the area, including where to go and what to do.